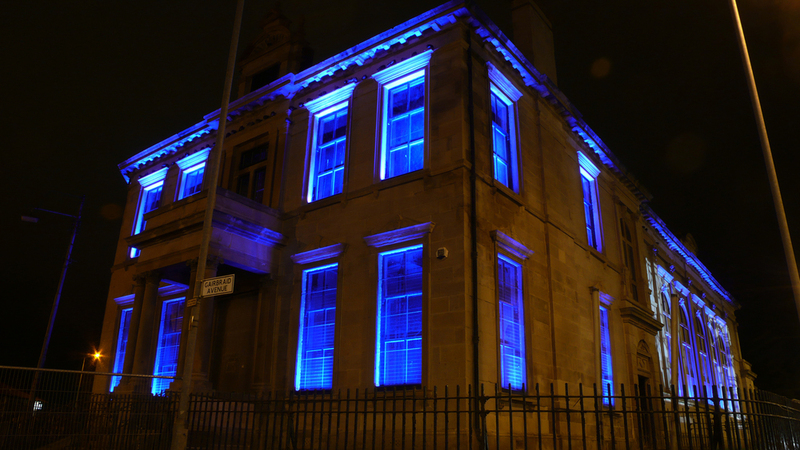 The feature illumination is a component of the ongoing re-modelling and enhancement works to the main building by JM Architects for The Maryhill Burgh Halls Trust. The completed building project will return the original hall to use while gathering new community facilities around a central courtyard. 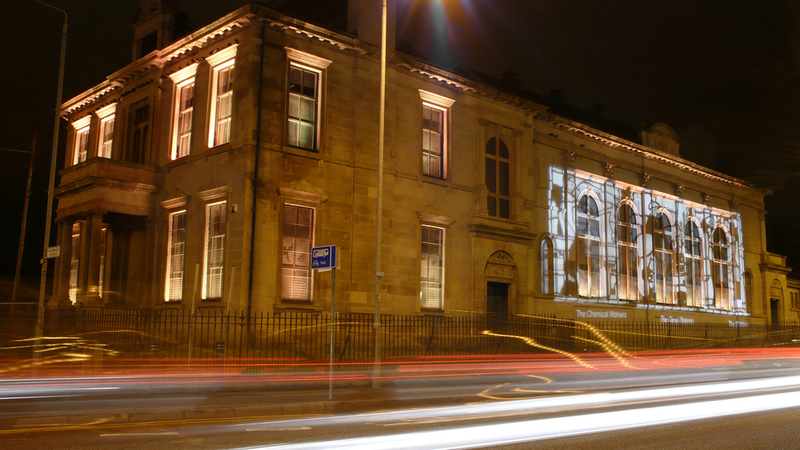 The illumination on the Maryhill elevation of the main hall is intended to make reference to the colour selection, form and composition of the original Stephen Adam stained glass panels, which form part of the building's heritage.